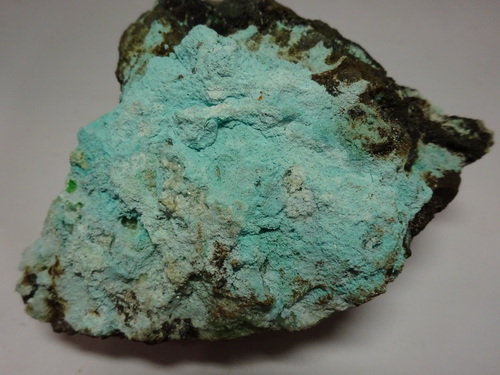 Arsenocrandallite: Mineral information, data and localities. Named by Kurt Walenta in 1981 in allusion to its composition as the ARSENate analogue of Crandallite. The arsenate analogue of Crandallite. Originally erroneously described as "vitreous"
Probably has a perfect cleavage as in other members of the group, but not observed because of small grain size. Mean n = 1.625. The mineral is isotropic or very weakly birefringent. Spherulitic aggregates, reniform crusts. Minute somewhat spiky crystals in small dense crusts. Conichalcite 10 photos of Arsenocrandallite associated with Conichalcite on mindat.org. Azurite 8 photos of Arsenocrandallite associated with Azurite on mindat.org. Lavendulan 6 photos of Arsenocrandallite associated with Lavendulan on mindat.org. Yukonite 5 photos of Arsenocrandallite associated with Yukonite on mindat.org. Olivenite 3 photos of Arsenocrandallite associated with Olivenite on mindat.org. Cobaltarthurite 1 photo of Arsenocrandallite associated with Cobaltarthurite on mindat.org. Cuprian Adamite 1 photo of Arsenocrandallite associated with Cuprian Adamite on mindat.org. Chenevixite 1 photo of Arsenocrandallite associated with Chenevixite on mindat.org. Zincolivenite 1 photo of Arsenocrandallite associated with Zincolivenite on mindat.org. 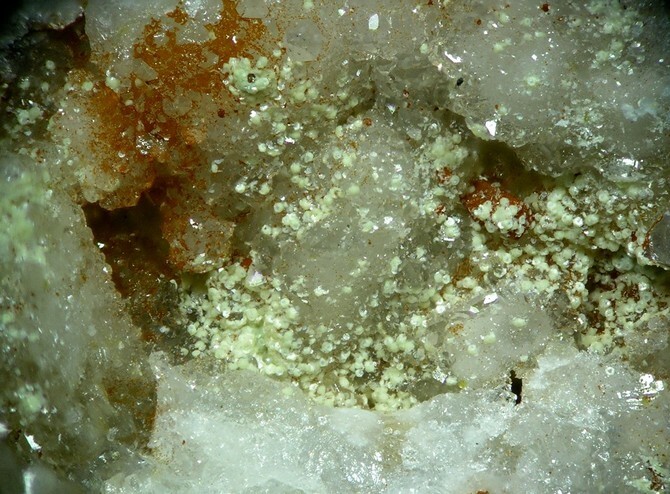 Aragonite 1 photo of Arsenocrandallite associated with Aragonite on mindat.org. 20.4.2 Bulachite Al2(AsO4)(OH)3 · 3H2O Orth. 20.4.15 Goudeyite AlCu6(AsO4)3(OH)6 · 3H2O Hex. Schwab, R.G., Götz, C., Herold, H., Pinto de Oliveira, N. (1991) Compounds of the crandallite type: Synthesis and properties of pure (Ca, Sr, Ba, Pb, La, Ce to Eu) - arsenocrandallites. Neues Jahrbuch für Mineralogie, Monatshefte: 1991: 97-112. 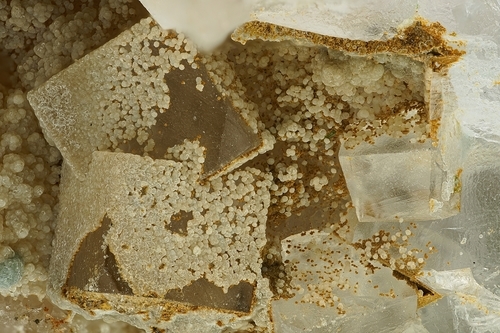 Seemann, R., Niedermayr, G. & Brandstätter, F. (2008): Mineralien aus dem Eisen- und Farberdebergbau von Livadista bei Alistrati. Mineralien-Welt 19 (2), 34-54.